The future has arrived: with the simple submission of a saliva sample, you can now take a glimpse into your genetic make-up. 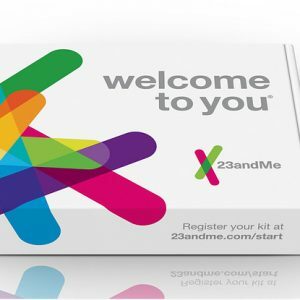 The Food and Drug Administration (FDA) has now authorized the genetic testing company, 23andme, to offer consumers direct access to genetic testing for 10 diseases, including Parkinson’s and late-onset Alzheimer’s, without having to go through a physician. The meaning of these test results, however, can be complicated and difficult to interpret without the expertise of a genetic counselor. The question for consumers then, especially for those who have a family history or concerns about these diseases, is should they seek out this testing, which is relatively affordable but not without controversy. Many major Alzheimer’s groups do not support this type of consumer testing, and worry that consumers could become misinformed about their risk of disease with this new option. Is more information always better? Check out the pros and cons, by reading Here and Here.